Had someone gone back in time and told me that I would one day purchase an $85.00 sunblock and be happy about it, I would have thought that person insane. Fast-forward to the present, following many years, many trials, and many dollars spent searching for a daily use physical sunblock for my dark brown skin, and that reaction seems completely rational. Until now, my search for the elusive non-whitening, physical sunblock has been a cycle of high hopes and inevitable disappointment. I had all but resigned myself to the fact that I would have to hold my head high while walking around with the infamous white, chalky cast of most physical sunblocks, or return to using chemical sunscreens. That was before Josh Rosebrook. 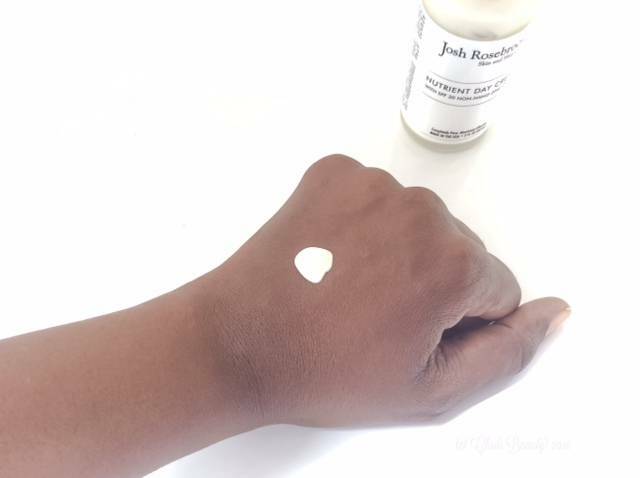 Perusing green beauty blogs, one of my favourite past times, I came across a review of the Josh Rosebrook Nutrient Day Cream with SPF 30 Non-Nano Zinc Oxide. The blogger who wrote that post claimed that Nutrient Day Cream is non-whitening. So did many readers in the comments section. But as all lovers of beauty and skincare products know, what works for one person doesn’t necessarily work for others. This is especially true with zinc-based sunblocks. So I searched and read, and searched and read other reviews and comments. They were all unanimous – this sunblock is completely translucent. But none of the reviewers or commenters identified themselves as having a richer skin tone. And none of the reviews or comments included any pictures. So I decided to take the plunge and ordered the Nutrient Day Cream. 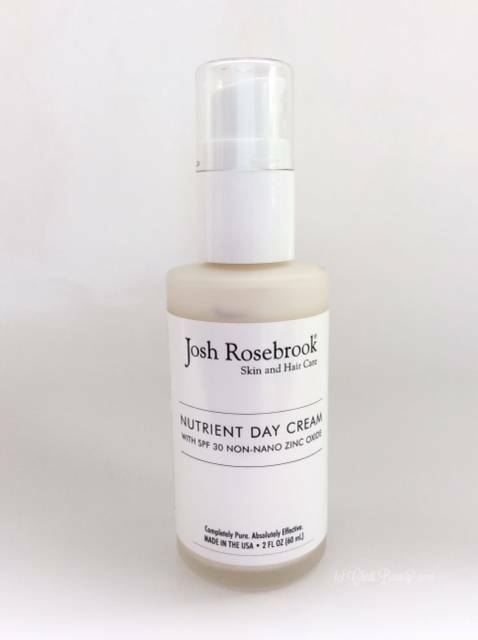 When I went to place my order, I noticed that Josh Rosebrook had come out with a tinted version of Nutrient Day Cream. However, tinted products can sometimes be more difficult than their transparent originals (think Bare Minerals Mineral Veil versus Tinted Mineral Veil). So I bypassed the tinted version and purchased the original. 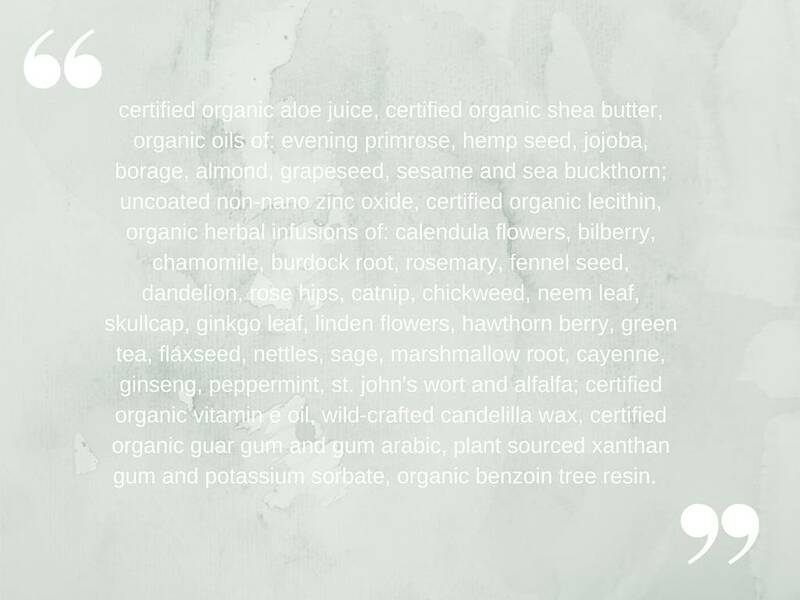 Looking at these ingredients, it is evident that Nutrient Day Cream provides more than just sun protection. In short, we are told that Nutrient Day Cream blocks UVA and UVB rays, inhibits cell loss, boosts the skin’s collagen structure, and promotes healthy skin. I must say that my skin has been problem-free, even-toned and radiant on a more consistent basis in the month or so that I’ve been using this sunblock. 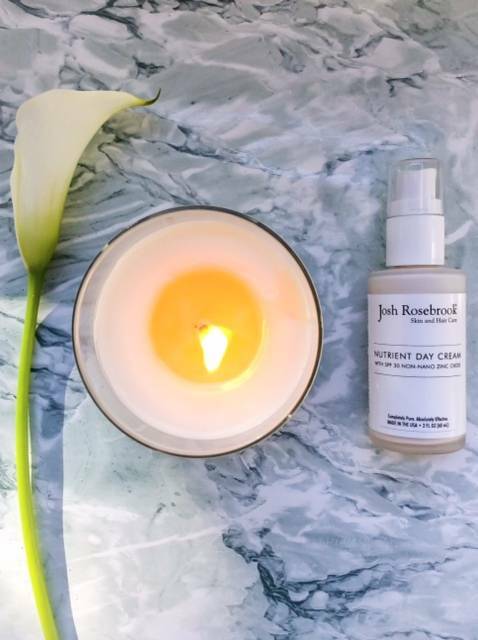 The best way to use Josh Rosebrook’s Nutrient Day Cream is to apply just enough (for me that is slightly less than two pumps) to cover your entire face and neck immediately after cleansing. I normally apply this sunblock on top of a mist and moisturizer, but it also does well on its own. Using a moisturizer first helps me because it lessens the harshness of Nutrient Day Cream’s natural shine, especially on my fivehead. I’m used to having a slight glow to my face, so it’s not that bothersome. But if you have oily skin like me, and you want to lessen the glow, you can also try using powder or blotting paper on top of this sunblock. This is the only physical sunblock I’ve tried that looks fantastic on dark brown skin. And by “fantastic” I mean translucent. Applying a thin layer to your skin actually goes on clear. Slightly less than two full pumps covers my entire face and neck. Any more than that and yes, it will start to build up and your skin will get that dreaded white cast, albeit not as badly as with some other physical sunblocks that I’ve tried. But applying just a thin layer of Nutrient Day Cream allows for a completely clear application that does not pill if you touch your face. I was amazed the first time I tried it. 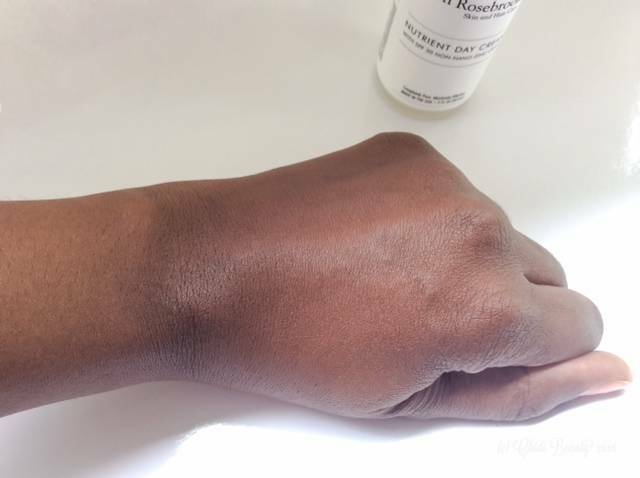 A physical sunblock that is actually invisible on dark brown skin!!! Hooray! I didn’t think it was possible. And now that I see it is possible, I wonder why it is that only one brand has managed to accomplish this feat? Then again, considering the ingredients list, it looks like a lot went into crafting this product and I do not take that for granted. Speaking of the ingredients, don’t be put off by the fact that this sunblock contains shea butter. Shea butter is the third ingredient in Nutrient Day Cream. As much as shea butter is loved by my body, it is hated by my face. The mere mention of those two words together is enough to make my face break out. But for some reason my skin hasn’t had any adverse reaction to this sunblock. In fact, my skin has never looked better while being well-protected from the sun. Obviously, the cost. Considering its stellar performance, clean ingredients, and the time and money that I’ve spent searching for a clean, non-whitening, physical sunblock, I have to say that I am willing to pay the price to protect my face. Given that you only need a small amount, I’m sure that this bottle will last for a good amount of time, even with daily use. My search for a non-whitening physical sunblock has finally come to an end. Nutrient Day Cream is now a year-round staple in my daily beauty routine. 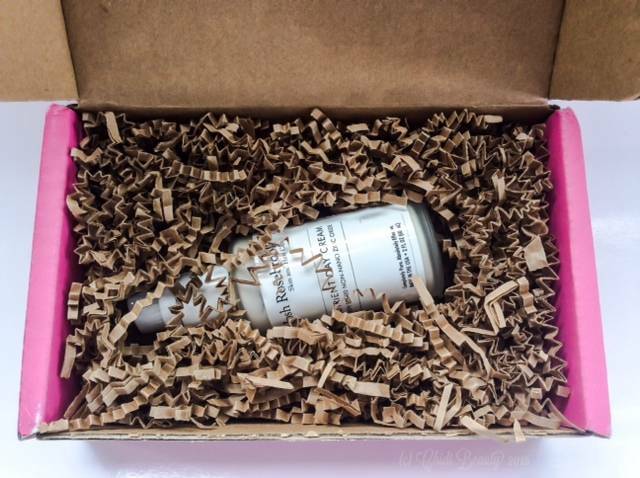 So, is Josh Rosebrook Nutrient Day Cream with SPF 30 Non-Nano Zinc Oxide worth the price? Yes! And because you’ve read this far, I’ll give you a little tip. By purchasing it on the Josh Rosebrook website you can get free samples or purchase the less expensive 1.0 oz/30 mL size. So if you want to try the tinted version, head right on over. 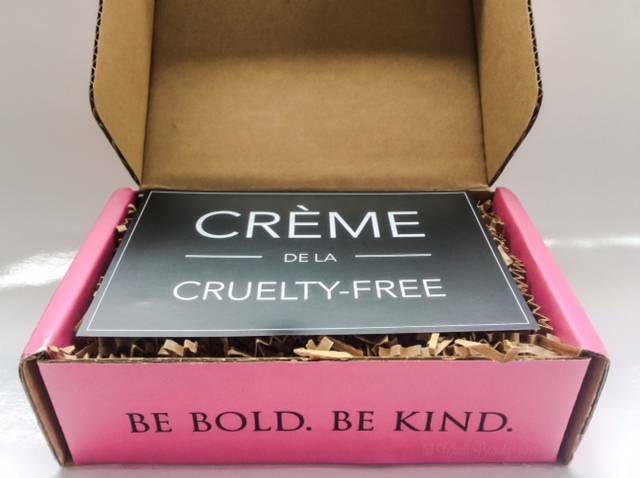 Or you can get free shipping (in the U.S.) plus rewards points if you purchase it on Petit Vour. The choice is yours. What is your favourite beauty product to splurge on? Is it a staple or a treat? What makes it splurge-worthy? What is your favourite non-whitening zinc oxide sunscreen? Let me know in the comments section below. Hi there, did you purchase the 60ml or the smaller 30ml version? Do you apply it daily and if so, how long did the bottle last? I’m thinking of getting it but it’s just so expensive! Hello Carlos! Thanks for your comment! I’m with you on the price, but it really is worth it. I wish Josh Rosebrook sold samples like some other brands, but unfortunately that isn’t the case. I bought the 60 mL bottle because I purchased it from Petit Vour, which did not offer the smaller size. And truth be told, I don’t know if the smaller size even existed at that time. I use the Nutrient Day Cream daily, but I only use one pump and maybe a teeny bit more per day for my entire face & neck. So yes, I am still using the same bottle. I will revisit this comment later to tell you exactly how much is left. For a first purchase the 30 mL bottle is a good idea because you’ll have spent less money if you end up disliking it. But from a value perspective, if you try it and like it, the pricing really discourages purchase of the smaller bottle. If you end up trying it please let me know what you think! Leigh, thank you. It’s always good to have more shopping options! To follow-up, I just checked and my 60 mL bottle is exactly half full. Tay, thank you so much for your comment! That is the exact reason I started this blog – to create a more diverse perspective on what products look like and work on different skin tones. Thanks so much for this review. I’m going to try it! I’m glad you found it useful. Let us know what you think! Hi there, than you for your review! 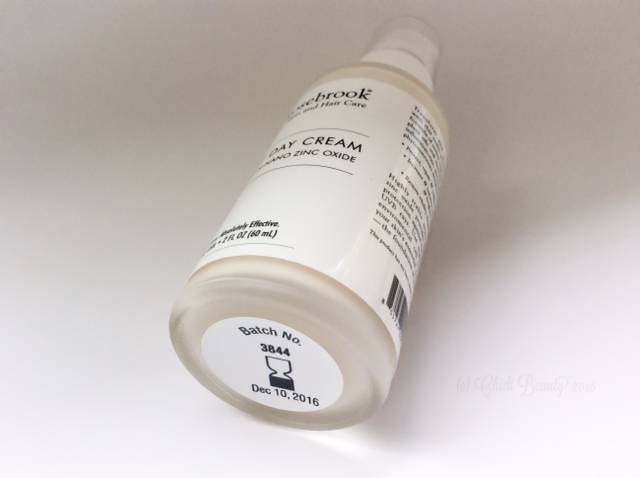 Will this cream be OK for someone with slightly dry skin? As for me, I am now using Clinique City Block Sheer Oil-Free Daily Face Protector Broad Spectrum 25 SPF; it has got only mineral filters (chemical ones irritate my oversensitive skin). It does not leave a white cast, but it is tinted, and I don’t like wearing any makeup in hot days, so I am still on the lookout for a better one. Good day Anastasia! I used to wear Clinique City Block too, but stopped when I discovered the world of clean beauty. Nutrient Day Cream has many oils in it, so I actually think it would work very well for someone with slightly dry skin. If you are still on the fence there are some stores that sell sample sizes. Hi there, this products seems fine, but it is waaaaaay too expensive for me, plus I’ll have to pay a lot for delivery to my city (I don’t live in the US), so it would be superexpensive. But I’ll add this product to my wish list – maybe one day I’ll be able to afford it and give it a try. Has anyone ever tried Seriously fab’s Zinc It Over the over makeup sunscreen? I was just reading about it and it sounds amazing! Never heard of it. Spray-on sunscreens don’t provide the best protection, but I’ll take a look. I know you didn’t get the tinted version, but I’m considering the tinted version since I never wear makeup and wondering how it would do on brown skin. Looking at the website, there is only one shade available for the tinted. Thoughts? For me, it is all about skin tone. I have never come across a tinted sunblock or sunscreen that is dark enough for my complexion (same skin color as Chimamanda Ngozi Adichie or a bit darker). I’m tempted to buy a sample of the tinted version just to try it. But with my complexion I wouldn’t buy a full size of the tinted version without testing it first. So I guess the question is, have you previously been able to find tinted products for your complexion, and if so, how do they compare in colour to the tinted NDC? Happy New Year Aurla! It’s been way too long since I’ve been to England, but I want to return soon. The new bottles are really quite pretty – they are opaque white milk glass jars. One bottle lasts me approximately five to six months. Best wishes in 2018! May I ask how long (weeks, moths?) the 60ml bottle has lasted you? I read the previous comment about it being half full in May 2016. Good day Nora. Having gone through a few bottles since then I can say that the 2 oz bottle lasts me approximately five to six months. I apply an adequate amount to my face (and neck when I remember) more or less daily. Please keep in mind that your frequency and volume of use will affect how long it lasts for you. Awesome, I think that justifies the cost! I’ve been looking for a natural moisturizer with SPF for ages that doesn’t leave a white cast. Thanks, for your review! Glad to help! Please come back and let us know what you think once you have tried it. I’m back! And I love this spf, no whitecast! Thank you for your review of this product! Thanks so much for letting us know! I’m glad you are enjoying it! I got a sample of the tinted version & it gave me the richest glow of my life. I think it would work for your chocolate tone bc it worked for mine even wgen I used it liberally. Like u – the untinted gave me white residue when I used the recommended amount. Felina, I truly have not been able to find a physical sunblock that could completely replace NDC. It is great for darker complexions! Your experience is disappointing, but not surprising to hear about the tinted version. I would still like to try a sample though.